Looking For A Leigh On Sea Car Shop? If you are living in Leigh On Sea Essex and are struggling to find low cost quality car parts then look no more. 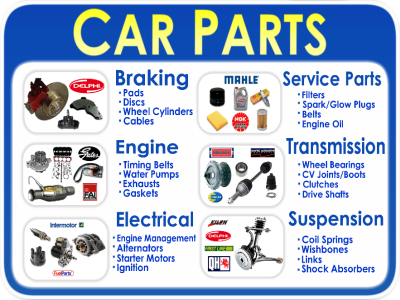 You have found the right place for all your motoring needs. 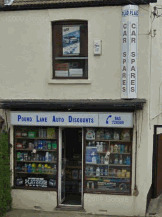 Welcome to Pound Lane Auto Discounts or as we are known online “Car Spares Essex”. Pound Lane Auto Discounts are the number one car spares shop in Essex, and have been open for business since serving our first customer way back in 1981. We were a roaring success on that first day, and sold……………nothing at all. But fortunately for us and all our customers who visit us from Leigh on Sea, things have improved since then. So what can we offer to you, that will make us your number one choice of motoring car parts and spares too. There are many things that continue to bring new customers to our doors, but probably the number one thing is the great choice of car parts, spares and accessories that we can offer. From the normal kind of vehicles that we all see driving around Essex, and you will have seen in Leigh On Sea. The Fords, Vauxhalls, Renaults, Peugeot, and all the other models that most of us have owned and driven at one time or another we can supply parts for. But it is the unusual stuff that really make us the car spares shop in Essex, that is the place to go. It is the classic vehicles, import cars, boat parts (funnily enough), and those half built kit cars sitting in your Leigh On Sea garage. Being around the motor trade for 30 years, has allowed us to build a huge network of colleagues, friends and breakers that help us find the unusual parts that you might be looking for. So don’t struggle to find the hard stuff…..let us go looking for you. What Other Vehicles Can We Supply Parts For? And as you can see below, we can supply parts and spares for most makes and models. The list below shows the list of vehicles that we have stock waiting on our shelves, but if your vehicle isn’t shown on the list then don’t worry. Just give us call on 01268 728309 or send us a message on our order form and we can see what we can do for you. So check on our amazing online store wherever you see the "Shop Here Online" logo, and you can check availability and prices from the comfort of your home. I Want To Travel From Leigh On Sea, So Whereabouts Are You? Well to get to us from your home, you really have two choices. Straight down the A13 or A127. If you are coming down the A13 from Leigh On Sea, then head to Benfleet, and then through to Sadlers Farm Roundabout. You will then take the B1464 to Pitsea. You can check out our directions page for more information on this route. If you are coming down the A127, then head towards London until you get to the Altons garden centre. Turn left straight after this and we are about a mile further on. For detailed driving instructions to us, you can click on the link below the image.